The Railway Recruitment Board Non-Technical Popular Category (RRB NTPC) examinations much awaited results will be declared in the first fortnight of October, according to the officials. Some lakhs are eagerly waiting for the RRB NTPC latest news 2016 regarding results. In the recruitment process, selected candidates will undergo second stage i.e., computer-based test for NTPC (graduate) category which will be conducted in the month of November/December. The exam date is not yet finalised. Most of the applicants who had completed the exam are eagerly waiting for the RRB NTPC CEN 03/2015 results. As per the analysis, the exam paper was of moderate level, it is expected that the cut-off set would be high. Those who had appeared for the exam were a part of the world’s largest computer based test organised for about 92 lakh candidates in March-May 2016. To fill 18,252 vacancies in various technical and non-technical posts of RRB, the online written exams were held across 400 centres. The answer keys of the Non-Technical Popular Category (NTPC) were released by the RRB on August 12. The Indian Railways will announce the RRB NTPC Exam Result 2016 in a region-wise break-up and the marks will be displayed post-wise. Approximately, 93 lakh candidates had applied for the vacancies out of which 56 lakh candidates were shortlisted for the online examination. All those who cleared the written exam will have to appear for second stage examination and document verification. For Senior Clerk, Junior Accounts Assistant and Senior Time Keeper, RRB will conduct typing skill test and for Traffic Assistant posts and Assistant Station Master, aptitude test will be conducted. The RRB Non-technical Exam Results will be release soon. The Railway Recruitment Board was established in 1988 and works for the recruitment of new employees to work in Indian railways. It is the apex body of the Indian Railways. It reports to Parliament of India through Ministry of Railways headed by the Railway Minister of India. The board releases the RRB NTPC latest news 2016 on their regional official websites. The second stage of the exam is likely to have questions about general awareness, mathematics, reasoning and general intelligence. The test will consists of 120 multiple choice objective questions and candidates will get 90 minutes to solve them. 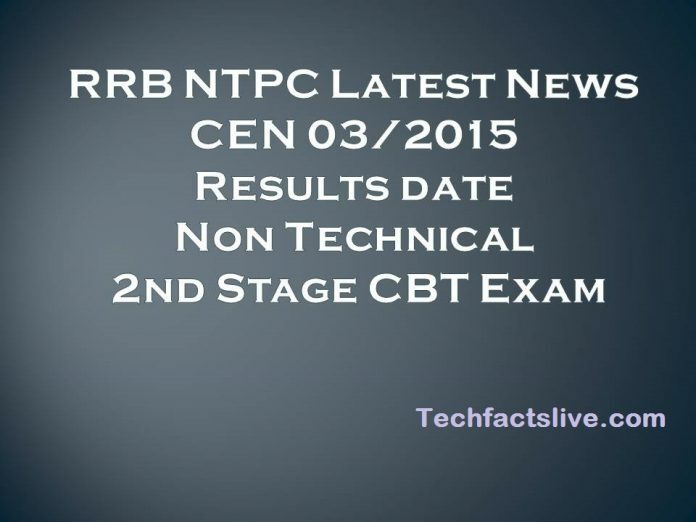 Check regional websites of RRB to more RRB NTPC latest news 2016 about the results and second stage examination. 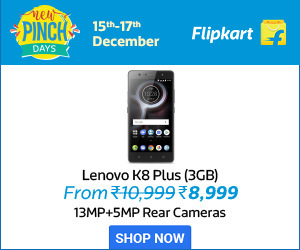 Follow our site in Facebook page Tech Facts Live and visit us Techfactslive.com for latest News & updates.